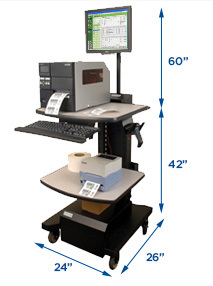 All NB Series Mobile Workstation models listed below come standard with (one) adjustable height laminated shelf, 5" locking swivel casters, adjustable push handle, and integrated powerstrip. 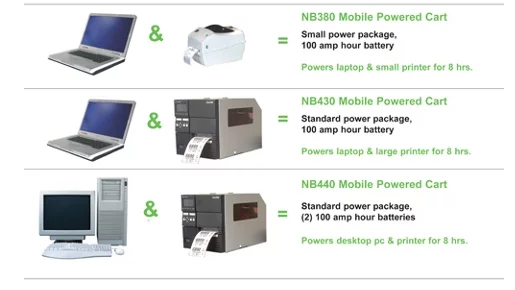 Model number represents the configured Power Package to handle your power requirements. **Typical Charge Time na 8-10 hrs. 3-5 hrs. 8-10 hrs. Weight 95 lbs. 200 lbs. 193 lbs. 268 lbs. a full recharge is NOT required to use again.